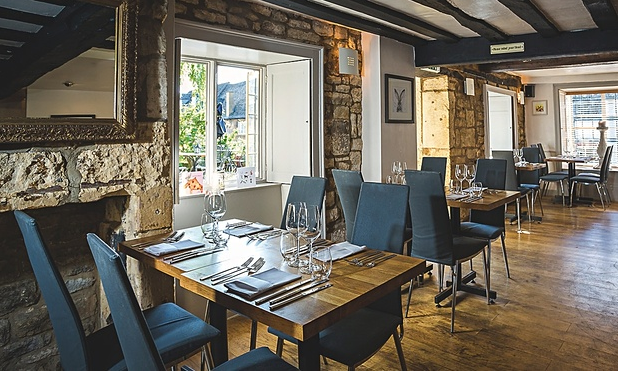 The Chef’s Dozen is proudly located in Chipping Campden in the Cotswolds. 2015 Winner of ‘Chef of the Year’ at the Cotswold Life Food and Drink Awards and awarded Chipping Campden’s High Street Business of the Year 2014, we are committed to working closely with a small core of quality producers who are dedicated to their amazing produce. Game is a particular passion and is often ‘shot to order’ by local gamekeeper friends from the surrounding hills and estates (1 mile), as well as from the exceptional David Moore game butchers just down the hill Mickleton (3 miles). Nine miles away, at Paddock Farm, brothers Nick and Jon rear rare breed Tamworth pigs, producing exceptional pork. Vegetables are from local market gardeners as well as from the excellent Drinkwaters Farm (3 miles) in the neighbouring village of Ebrington. Sustainable fresh fish is sent from day boats in Cornwall from the renowned Flying Fish of Cornwall as well as New Wave Seafood based in Gloucestershire. 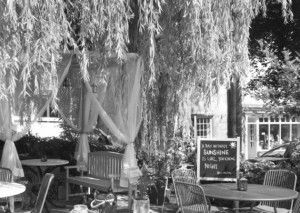 Our concise wine and craft beer list is chosen to complement the menu, so as with the food it changes seasonally. The restaurant is closed on Sunday, Monday, reopening on Tuesday evening, once the kitchen team has freshly created the weeks menu.